The X-men's Storm Is Getting Her Own Series?! Yes you did read that correctly. Thanks to Marvel’s July Solicits we now know that everyone’s favorite weather witch/master thief/leader/Queen and all around badass will be the star of her own series set to debut in May. 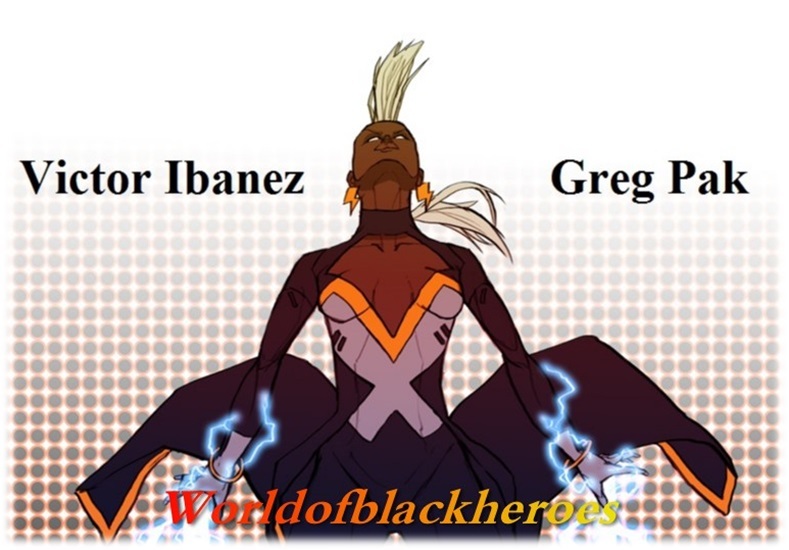 The creative team is composed of Victor Ibanez on art and Greg Pak as the writer. Will this be a miniseries or an ongoing? We don’t know yet. The only thing we know for sure is the title of the book and the creative team attached. Greg Pak is most well know for his critically acclaimed run of Incredible Hercules. He has also written War Machine, Herc, Incredible Hulks, the divine Phoenix Endsong and valiant’s Eternal Warrior. Victor Ibanez meanwhile has been the main artist on New 52’s Wonder Woman. 5) It must treat her and have her treated with the respect she deserves. Are you excited about this new story Series? Will you be picking it up when it hits stands? The main weakness with a Storm ongoing has to do with your last point- being respectful is great, but it can get a tad stuffy and boring. In a good solo a main character is going to fall short and get egg on their face. Good point DD! Black Panther is always treated respectfully….but often does get quite boring. Perhaps something comparable to DC’s treatment of Wonder Woman would be more desirable. Sounds about right, good thinking. Wonder Woman is probably the closest thing to a Storm analog. Though after thinking a bit I’d replace “respect” with “reverential”. Gets what I really mean across better. There are so many examples that it would really take me a while, but you can generally tell when a writer is trying to convince you that a character’s fart’s don’t stink. I agree entirely with your Five points . I just hope they do justice to the character . Being respectful to the character does not limit her story potential . A good writer who understands and appreciates the character can tell plenty of interesting engaging entertaining satisfying and thoughtful stories with out humiliating or degrading or cheapening the character provided he or she has the skill and talent and motivation. If the Black Panther ( or any other character )is boring then the writer is simply not up to the job. And steel my self for the worst. Nothing else we can do Jim! Sadly Jim a part of good storytelling demands our lad fall in love and go through the occasional emotional upheaval. But Marvel stories put our fave characters in unhappy darkness and keep them there. I’m open! With what Marvel did with Superior Spider-Man, they showed me that they can totally (& successfully) reinvent a legacy. I’m hoping that this will at least be on par with Ultimate Spider-Man or Mighty Avengers. I’m wide open along with you Boogiedown! …they brought back ‘punk Storm'(!) and now they give her a solo?? About friggin time, she’s got a good writing staff, so should be nice. Let’s cross our finger and toes it’s good Adam…and it sells! I will be watching and waiting for your review. Not certain if it’s going to be a miniseries or an ongoing titile(hey it works for Wolverine and more recently Nightcrawler), but it’s worth a try! Will she and T’Challa kiss and make up? It has been confirmed as an ongoing not a mini. I still hope for reconciliation. The writers of the X-Books aren’t yet featuring her, but they do write about their relationship. Fingers crossed. Boogie all we have is speculation as to who Kymera’s father is. For all we know her dad could be Wolverine! Until on panel her paternity is determined everything else is speculation. I just fear that Marvel will mess us over again. I hope she will be depicted as a character only wants to help when ever she ever she can and always is motivated to do the right thing. I hope the writers are up to the task. As an aside ,where I work I have noted a slow but steady decline in the sales of all the X titles . I hope this new title will turn things around. And I really do hope that T’Challa and Ororo hook up again. Its about time Storm has her own series !! I’ve always thought she had the best power’s out of all the x-men and that it was seriously downplayed for characters like ( cut-em-up) wolverine. Would you be more scared of a guy with a blade or a women who can bring tornado’s/hurricanes/tidal-waves and other natural disaster on your head? I’d say the latter freaks me out a lot more than a quick slice and dice. YESSS!! I didnt know this was going to happen. WOW!! I really hope they do her justice and tell all about her outside of the X-men.